Woven into the fabric of New England are brick, granite, marble, and historic clapboard structures that are living legacies to the region’s rich history. 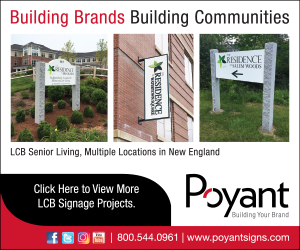 They bring iconic character to campuses, town centers, and large cities, communicating the gravitas of their tenants and the importance of the activities they continue to house centuries after they were built. These college libraries, courthouses, churches, and historic meetinghouses are revered for their history, and their restoration and preservation are key to protect the legacy they represent. Through the commercial services team at A.W. Hastings, the company representing Marvin Windows and Doors in New England and eastern New York, architects and facilities managers throughout the region are leveraging Marvin expertise at the local, regional, and national level to ensure the accurate preservation of historic details in legacy buildings. A perfect example of a Legacy Building being brought back to life with Marvin Windows and Doors. Kelly McCoy is the co-owner of The McCoy Group in Ogunquit, Maine.